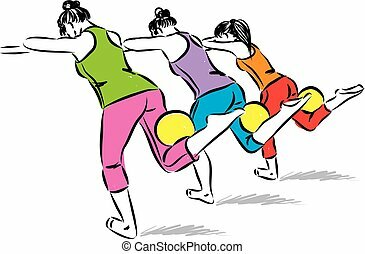 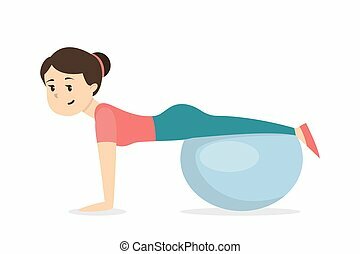 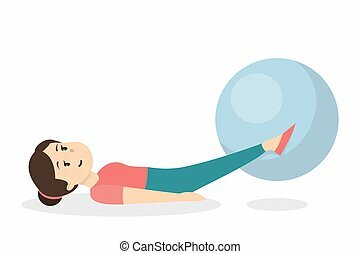 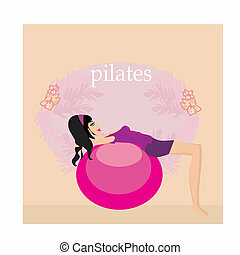 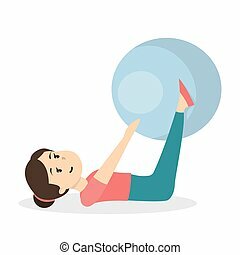 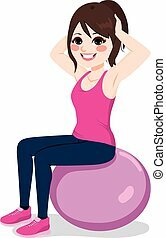 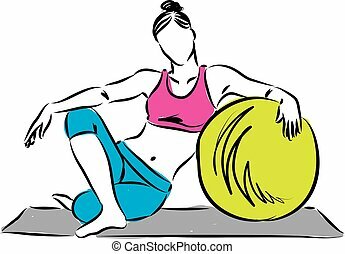 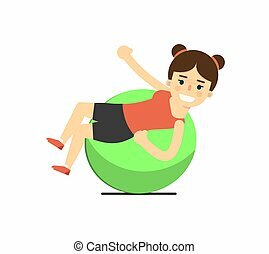 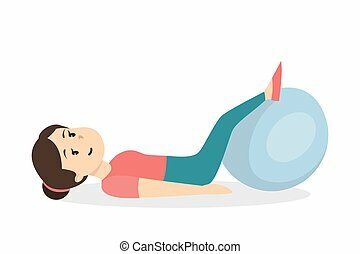 Fitness girl with ball 3 illustration.eps. 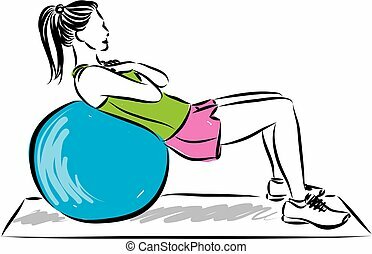 Fitness girl with ball 3 illustration. 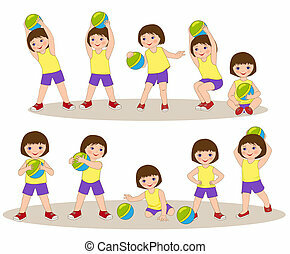 Fitness with ball. 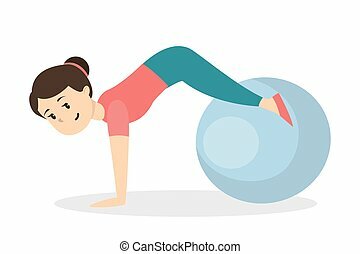 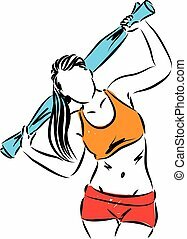 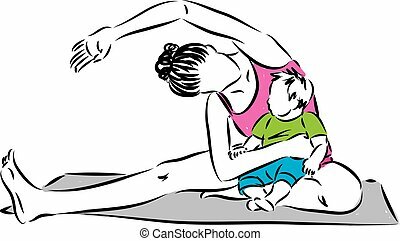 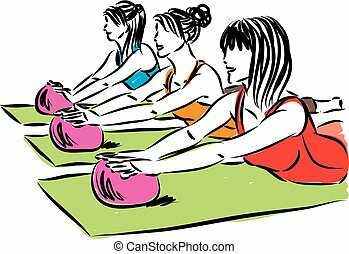 Girl doing exercises on white background. 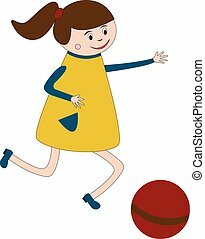 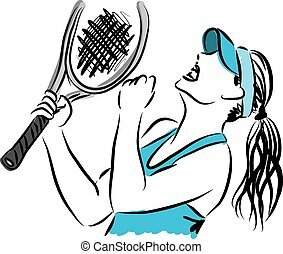 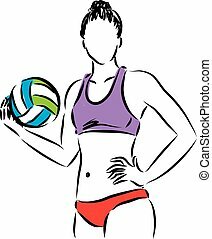 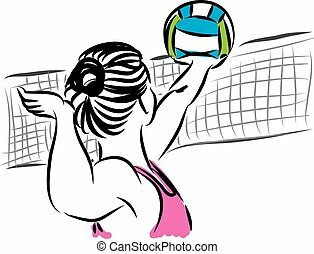 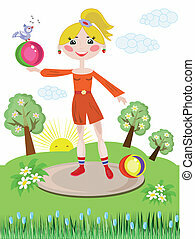 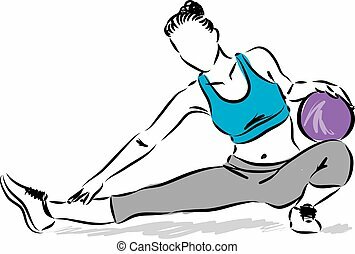 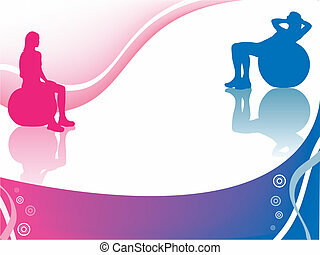 Sporty girl in sportswear with fitness ball isolated on white background vector illustration. 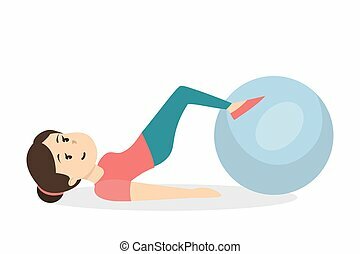 Fitness exercise, sport and healthy lifestyle concept in flat design.